Obviously I had to get a Pro account for unlimited uploading and storage. With the dollar being so cheap though it was a steal at SEK 160. Both Flickr and Zooomr have pretty nice AJAX style uploading. 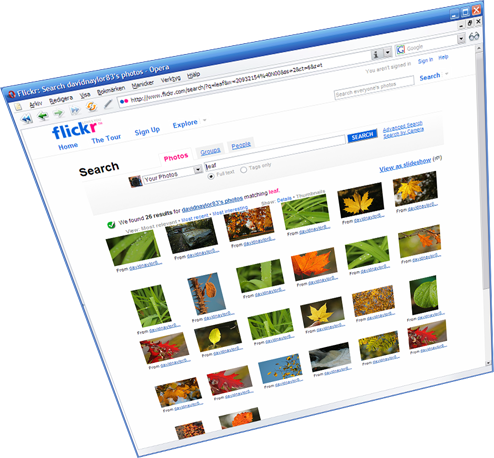 Flickr’s would only (?) take 400 or so photos in one go. I uploaded the photos as private, but allowed friends to see them all. I have then gone through them all and (so far) selected 673 photos that I’ve made public. One really nice thing is that I can write captions for the photos in Lightroom, and when I export the photos the caption is saved to the IPTC info, which Flickr reads and understands. Three cheers for standards and compatibility!